Soulcalibur 6 is coming fresh off of their recent release with some an exciting announcement from Paris Games Week 2018. 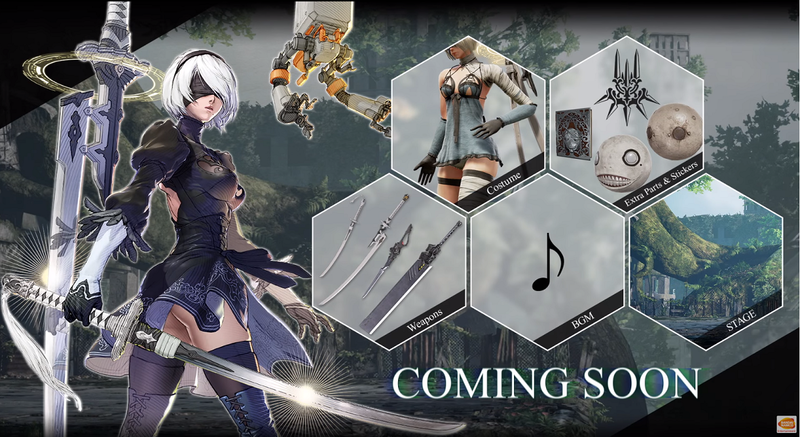 Nier: Automata's 2B will be a playable character in Soul Calibur 6. Check out this brand new trailer. 2B will be able to use an array of weapons and will be ablke to use tactical support unit pal Pod 042 for longer distance attacks. The trailer focused on her relationship with Ivy, but there is no explanation for what is going on there just yet. 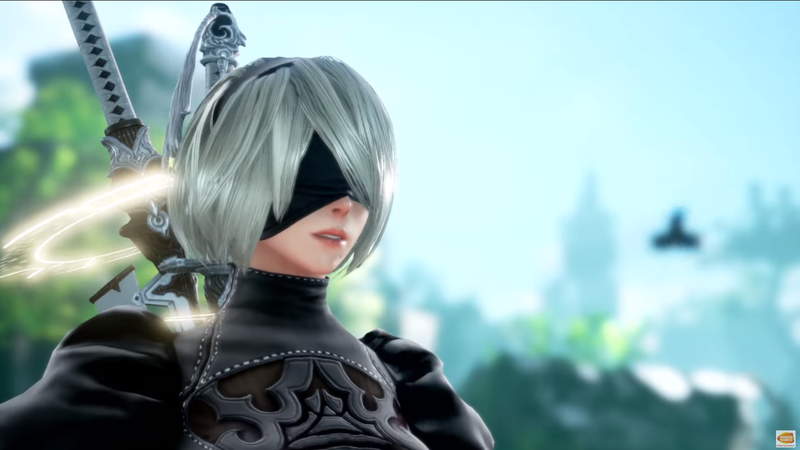 Motohiro Okubo, producer of Tekken 7 and Soulcalibur 6, unveiled the 2B character reveal trailer today at Paris Games Week. 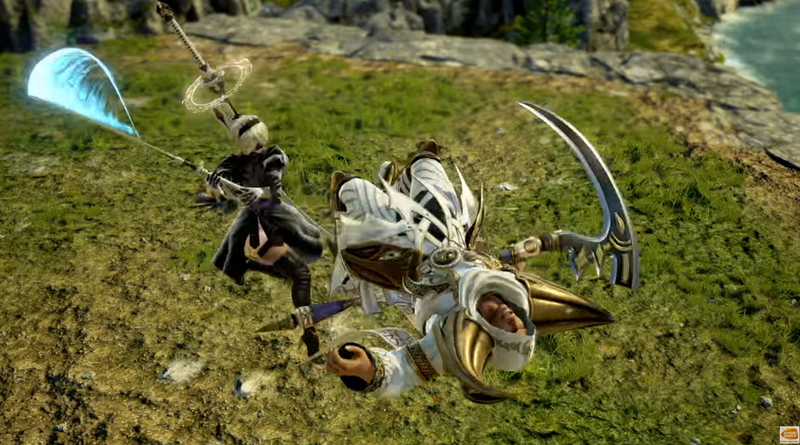 This is a great collaborative effort between Square Enix and Bandai Namco as 2B joins other characters like Shacknews' favorite Geralt from the Witcher series. Be sure to check out the Shacknews review of Soulcalibur 6 and our complete list of every playable character in the game. Today's announcement of 2B from Nier: Automata is probably not the last we will be hearing about new playable characters coming to Soulcalibur 6 DLC 2, so keep it locked on Shacknews. Yeah! Totally unexpected awesome news. That's pretty awesome. Though in the last part of the trailer it shows a "costume" for her, and I swear it's just lingerie. That's the outfit from Nier1, I think. You can unlock it at the end of Automata. It's Kaine's outfit from Nier 1 and yeah... it's... not much of an outfit. If you self-destruct while wearing it, it becomes even less of an outfit. So it does. That's... something. Well, less of something (that wasn't much to begin with). I embedded a pic of the costume in the article. A lot of people were theorizing that 2B would be a playable character and I'm glad that it turned out to be true. Geralt and 2B, two characters from two of my favorite games, in the same game together AT LAST. Great addition. Really hoping they bring back Hilde at some point. Well, this may turn into the second Season Pass I ever buy. Yeah, I'll probably get this the first time I see any discount on it.